The US is producing more and more oil. I wondered if the number was hitting our previous peak yet. 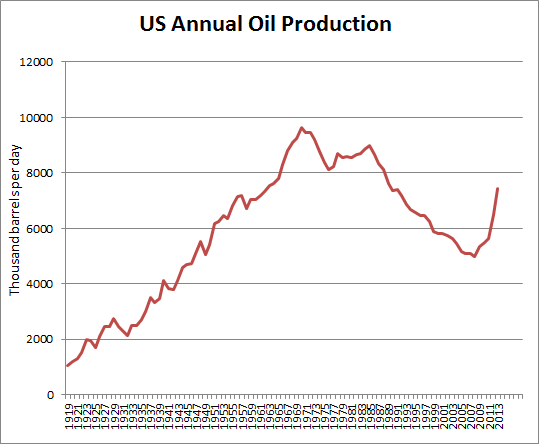 The government EIA site has data on annual production of oil up to 2013. The following chart shows the production from 1913 to 2013. As you can see we haven't returned to the peak production which was in 1970. If however the production continues to go up at the rate it has since 2008 we might return to the 1970 level by 2019. I doubt that will happen but its possible.